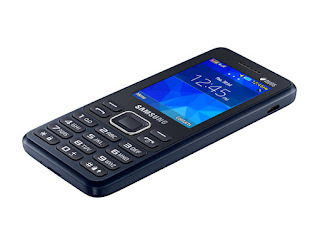 Samsung Metro XL B350E for any Samsung flashing tool or flashing box. just one click download link on Mediafire.Download The official flash file of Samsung B350E for India that flash file you can flash with any Samsung flashing Boxes like Z3X tool or NS Pro or USF 3 or any Samsung flashing tool which you have you can flash your Samsung Metro B350E with an official firmware update. file if your phone did not work properly or any other problem or if you want to update with latest android version or if you want to change language file on your phone then you can flash this file easily without the help of any other flash device just use the latest version of the official Samsung flashing tool Odin and Samsung USB driver flashing of your phone at home. How to flash Samsung Metro B350E? You can flash Samsung Metro XL B350E with any Samsung flashing box like UFS3 Box, Z3x tool or any other Samsung mobile flashing tool like Odin which is the official flashing tool of Samsung. just download the flash files zip folder and unzip on any drive open which box you have put phone in to downloading by holding vol keys select all the files one by one on drops and down menus when you select all the files to connect USB cable and click on flash when your flashing tool don job your phone will reboot and start charging.